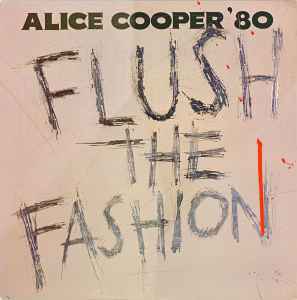 For me Flush The Fashion is far the best of his 4 new-wave albums between 1980 an 1983 (best compositions and best sound). Simple but cool guitar arrangements from Davey Johnstone and Fred Mandel. Cannot be compared with "classic" Alice albums. 80’s pop Alice, don’t hear the guttural guitar until B2 track Grim Facts. I enjoy it for what it is but far from his stellar Albums before or after. I really enjoyed this album, threw it on the turntable after getting home from work.